HiFi Mixmaster X (canti): The 28mm low profile aluminum rim is made for wide tires and is one of the best for cyclocross tubulars thanks to the radius of the rim bed. Built up into a 1390 gram wheelset, these tough wheels will up your speed for less than $700. Stan’s NoTubes Iron Cross Comp (disc): Tubeless for cyclocross has arrived, and this $595, 1590 gram set offers durability, reasonable weight and reliable tubeless performance. 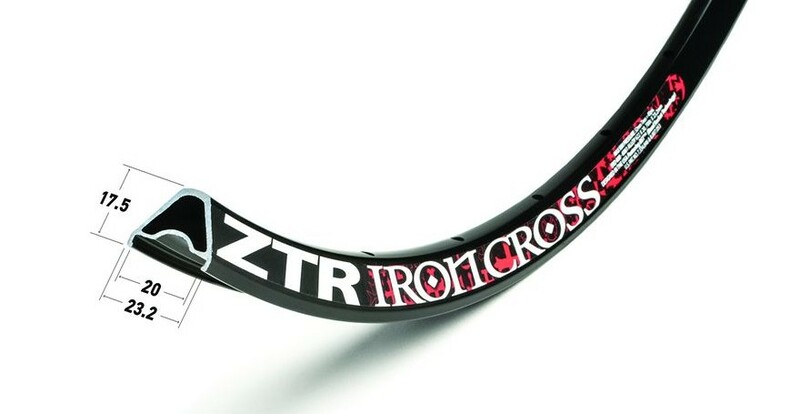 The award-winning NoTubes Iron Cross got some updates for this year. Tubular: HED Stinger 3 FR: Available for disc or rim brakes. Designed with ’cross in mind, this tough set of wheels with 38mm deep x 28mm wide carbon rims are only 1200 grams and $2000 for the pair, have the best bed radius for ’cross tires, and even offer aero benefits if you happen to be off the front alone at breakneck speed. 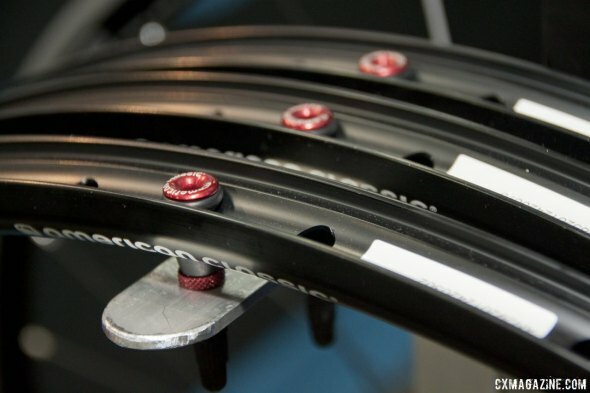 Tubeless: The American Classic Argent: American Classic’s Bead Barb does wonders to prevent burps and help convert non-tubeless tires, and there are both disc and rim brake options. At $1449 (rim brake), these wheels are expensive for an alloy rim, but save weight over many options and are the best rim brake tubeless rim for cyclocross that we’ve tried. Reading the review of the Serac CX in issue 25, I am wondering Serac or KommandoX. Intermediate rider in SF Bay area. FuelForThoughts how heavy are you? for Bay Area courses, often wider is better if you can fit them. Plus the width helps with burps. Specialized has a new 38c 2Bliss tire. cyclocross No problem with burps running Vittoria TNT XG on WTB ChrisCross (29r, 25f psi). I am 162 lb. Which Spec’ tire are you thinking of? Only one I could find on their website in 38 is the tracer which looks lie a file tread. Have you measured the Serac width?